The absence of the ambassador will not affect bilateral relations. 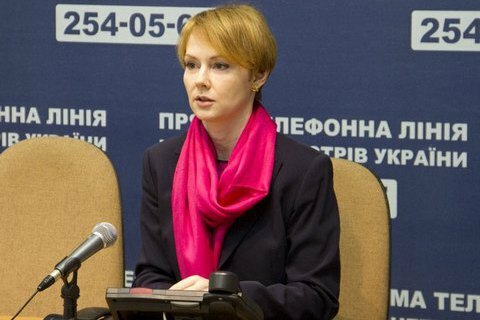 The appointment of a new Russian ambassador is no longer relevant for Ukraine, and will not take place, deputy Foreign Minister Olena Zerkal said 3 August on TV Channel 5. "This issue is off the agenda, at least the way it was put," the diplomat said when asked about the possible appointment of Mikhail Babich as new Russian ambassador to Ukraine. She said that the issue was taken off the agenda on the initiative of the Ukrainian side as "the absence of the ambassador will not affect the development of bilateral relations." She reminded that Ukraine has long not been having an ambassador in Russia. The post of RF ambassador top Kyiv became vacant after President Vladimir Putin on July 28 dismissed Mikhail Zurabov, who was appointed in 2009, and appointed Sergei Toropov as Chargé d'affaires. On the same day, the State Duma's Committee on International Affairs discussed Mikhail Babich, who hails from uniformed ministries, as Russian ambassador to Ukraine. The next day, in violation of the international rules of diplomacy, the Kremlin made public the name of the next ambassador without receiving prior agrément of Ukraine.